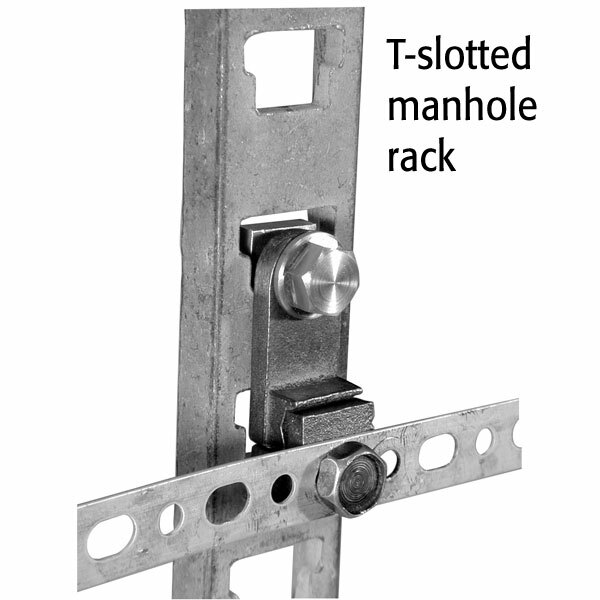 For T-slotted underground manhole racks and Unistrut P16F and P21H racks (both clamps fit all racks). 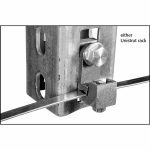 For ground wires #6 through #1/0 AWG, 3/8″ plain bonding ribbon, and perforated bonding ribbon. 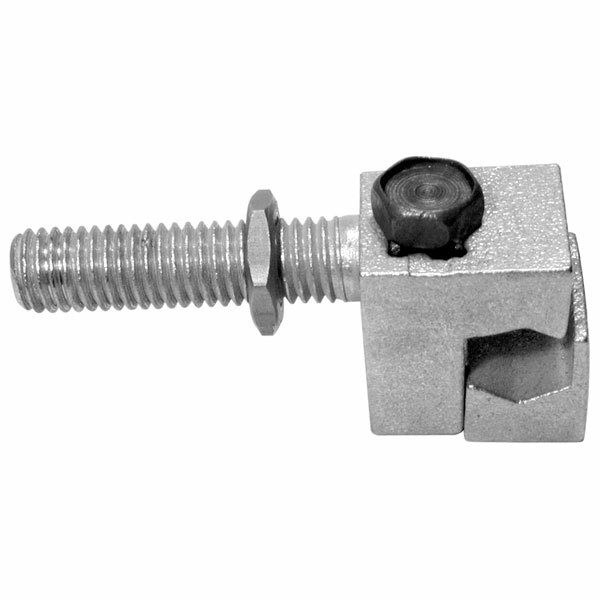 5/16″ bolt can be either side mounted or bottom mounted. Tin plating is also available. 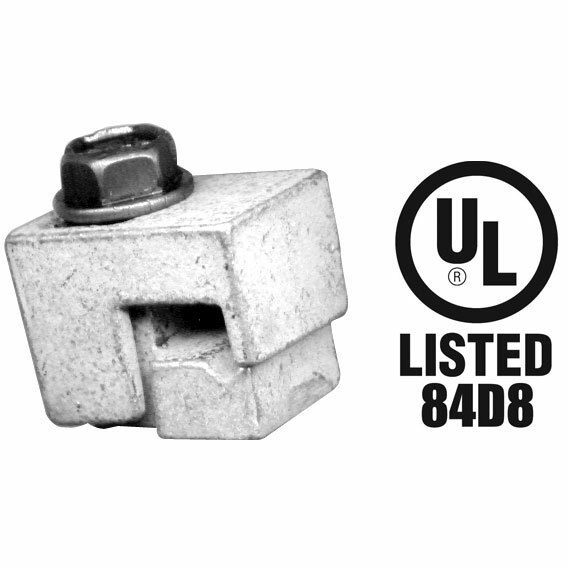 Use the drop-down menu below to choose side-mounted or bottom-mounted bolt, and optional tin plating, or go to the Product Variations tab to find an already configured part number. 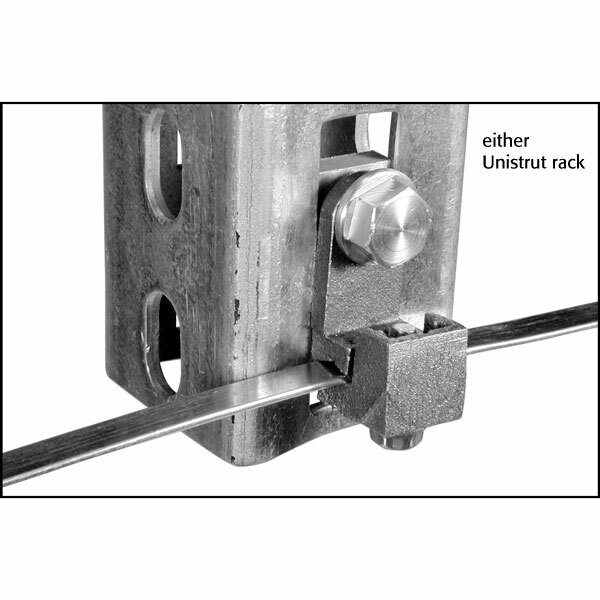 Categories: Cable Rack Bond Clamps, Underground Hardware.